The Irregular Choice Hooting About low wedge pumps are the perfect shoe to keep your feet both stylish and comfortable - perfect for that everyday fabulous outfit. Featuring their classic owl character, applique detail, an iridescent foil upper, embroidery, polka dot trim and bow, this pair could be the perfect choice for you! These pretty low pumps are a sensation! 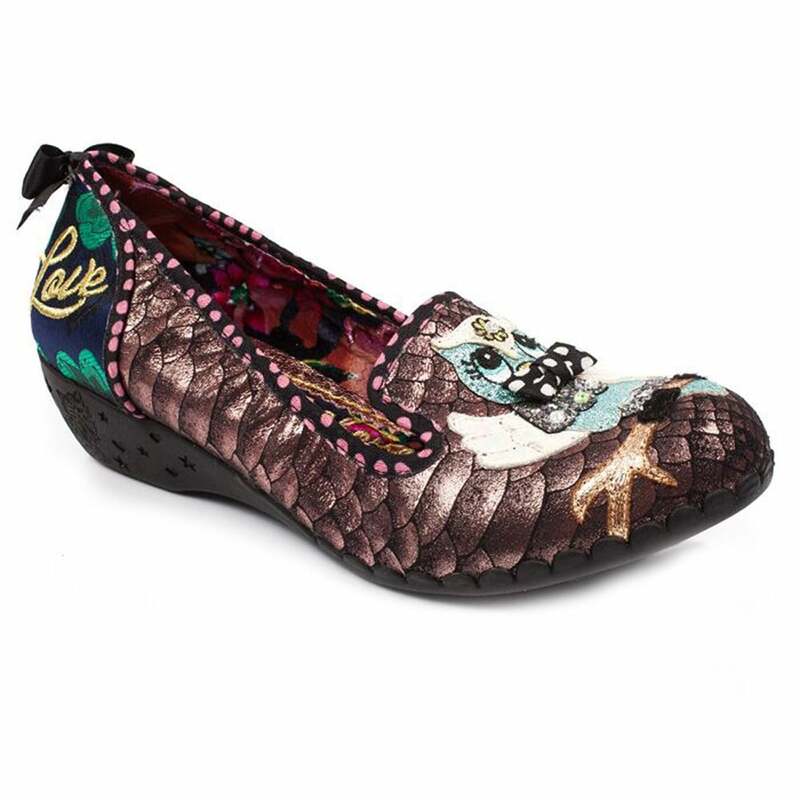 Get your Irregular Choice Hooting About 4413-2B Low Wedge Pumps at Scorpio Shoes today... You won't be disappointed!